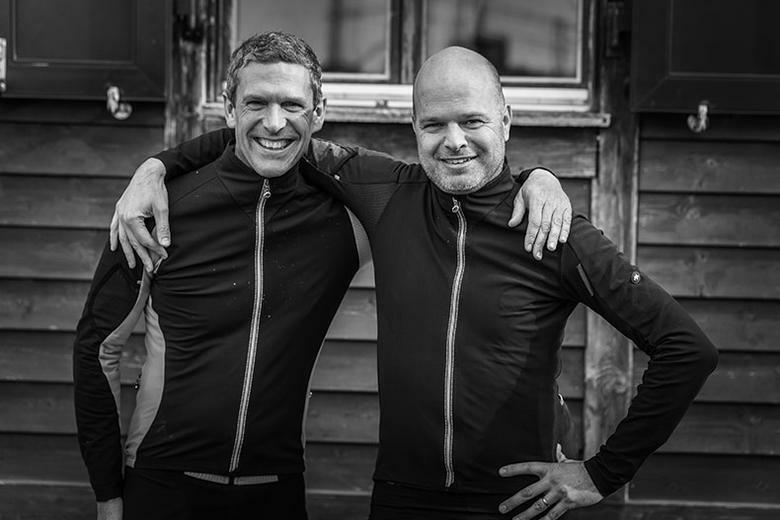 Imagine a bike company that answers to no-one but it's two founders. 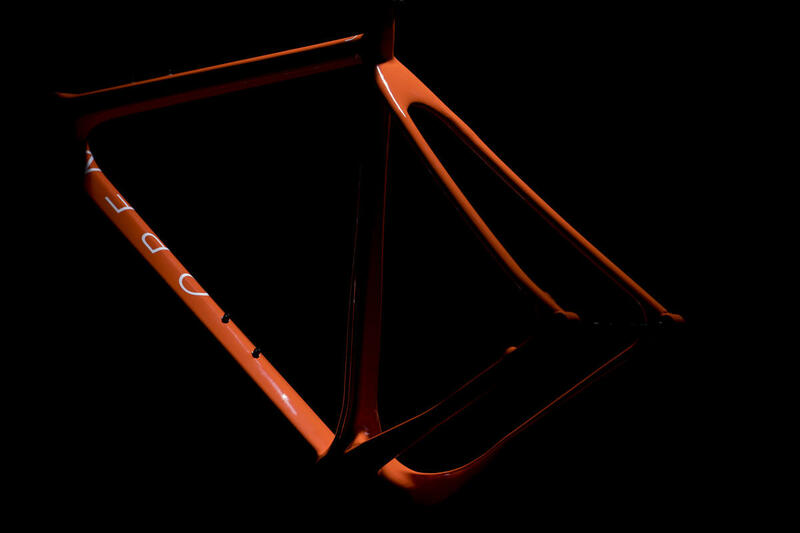 Industry veterans with a wealth of experience and a desire to create the kind of bike they want to ride, without compromise and free from dogma. OPEN are that company, and we're genuinely thrilled to welcome Andy and Gerard into the Bespoke family. Legendary bike designer Gerard Vroomen was co-founder and lead designer at Cervélo, and has always been at the cutting edge of practical innovation. Andy Kessler has spent his working life in the bike industry, via Scott and Cannondale to become CEO of the Swiss cycling brand BMC (taking them from a small local player to a global powerhouse). He then worked at Cervélo alongside Gerard, but both of them hankered for a less corporate, more personal experience. Together these two friends bring the industry know-how, practical experience, and above all the sheer love of riding that's essential to building their small but striking range of bikes. 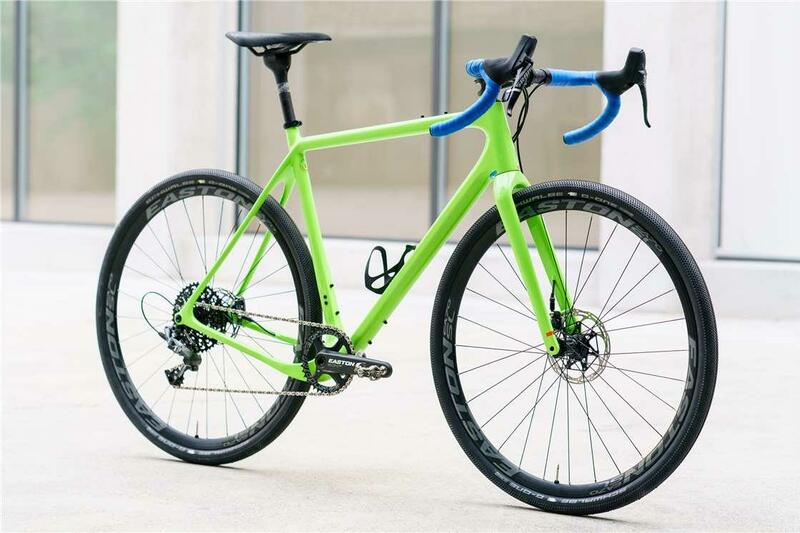 Specialising in the burgeoning gravel/adventure category, they're basically building the bikes they want to ride - and fortunately they just happen to be bikes that we very much want to ride too. Their timing is perfect, and you can be sure that OPEN will continue to innovate, whilst remaining dedicated to practicality. What they leave out is almost as important as what they put in. There are no token "new technologies" here - if it's of benefit then they'll include it, if it's simply marketing puff or a flash in the pan then it'll be left out. The end result is a remarkably capable and refreshingly different range, and we're excited to see what they have in store for the future. 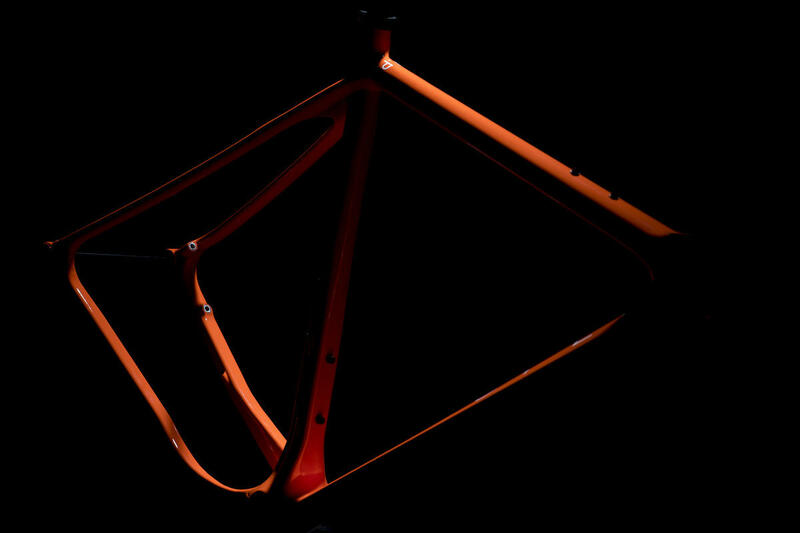 GravelPlus frame that fits road, cross and mountain bike tires. Go anywhere fast! The U.P. (Unbeaten Path) is the heart of the OPEN range (the U.P.P.E.R. is its superlight partner). The 3 members of the U.P. (Unbeaten Path) family all combine a road riding position with clearance for your choice of road, cross or mountain bike tires. Get out of town on tarmac, then hit the gravel roads or switch to singletrack and bridleways. Your position gets you there fast; the big tyres make you unstoppable once you're there. A dropped chainstay means it can be made beefier, and thus stiffer, fox maximum efficiency whilst still keeping an excellent Q-factor. Skinny seatstays provide just the right amount of cushioning to soften the big bumps. Combined with fat tyres this is a superbly comfortable ride. All cables and hoses are routed internally, for neatness and protection. 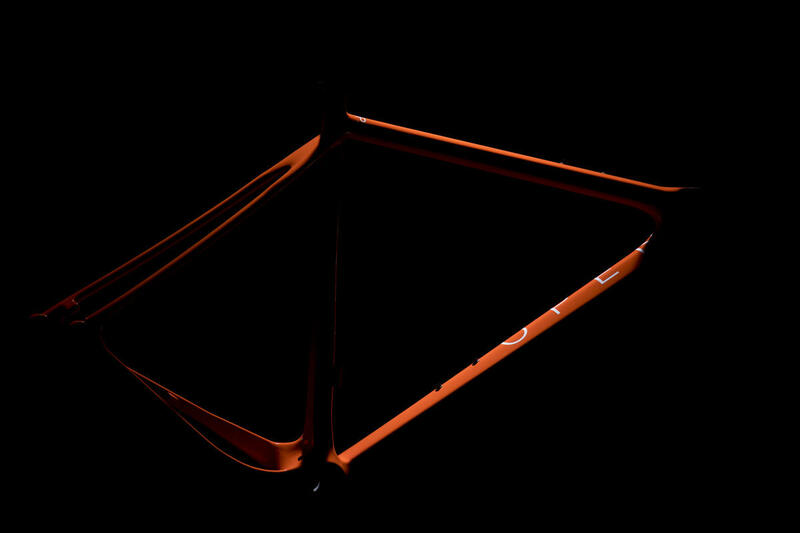 With OPEN's MultiStop design, you can customize the frame for 2x10/11, 1x10/11 and Di2 shifting - just change the insert. If you choose to run a single chainring, you can also remove the front derailleur hanger to further clean up the frame. The 27.2mm inline seatpost provides another bit of flex as well as saving weight. The U.P. 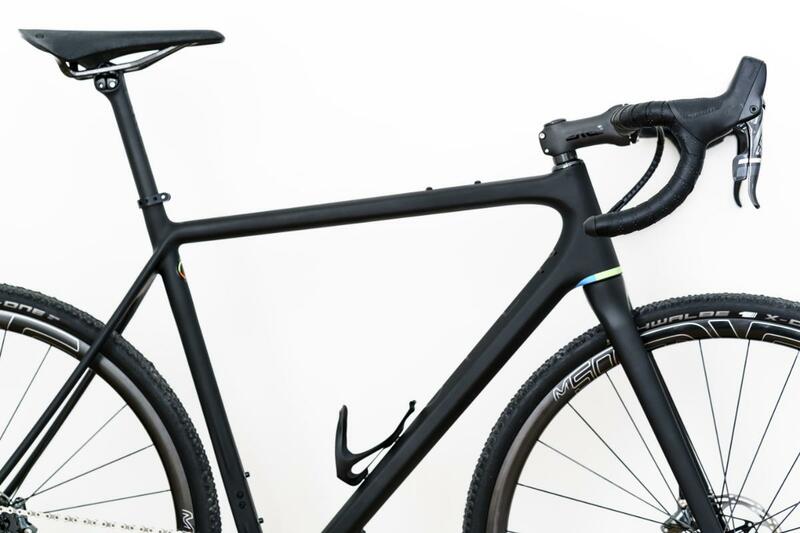 is packed with neat, subtle features, like the toptube bag mounting bolts for longer journeys, or the "pilot hole" that allows a quick visual check that the seatpost is correctly mounted at a safe depth. "It's not often I am wrong (actually that's a lie...), But I never really got the Gravel scene, and thus I never really got OPEN. After having ridden gravel bikes I now 'get it'. And OPEN are spearheading this movement. Cycling is meant to be fun, And know one gets that better than OPEN"
Super-light cross-country hardtail that fits up to 3" tyres for the roughest terrain. 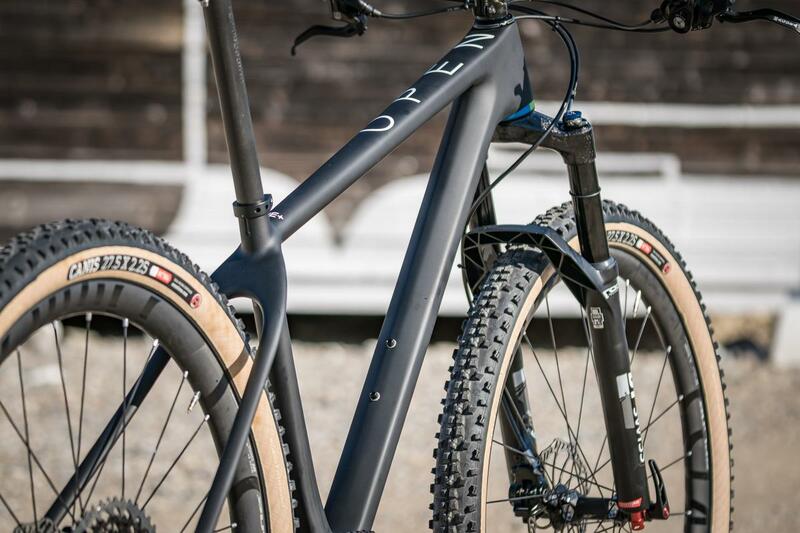 OPEN's ONE+ is a true off-road cross country racer. Featuring many of the elements which make the U.P. 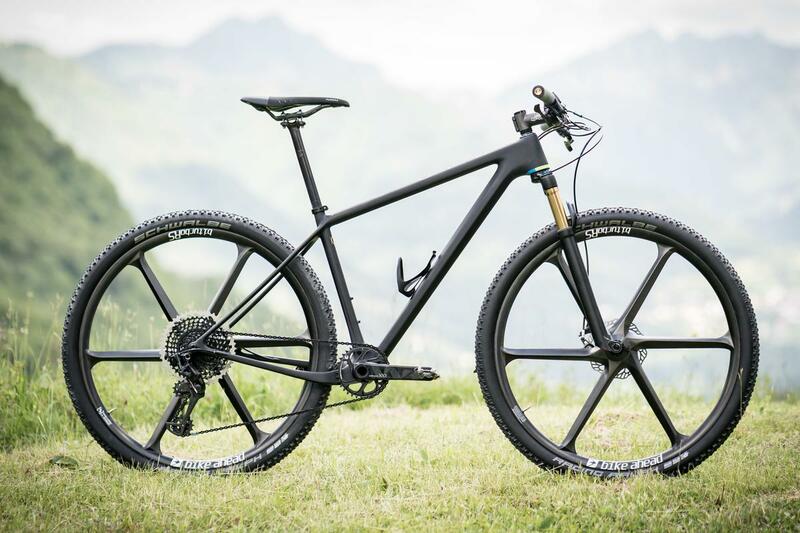 so unique, this model's focus is more towards that of a 'traditional' mountain bike, but updated for the 21st century. 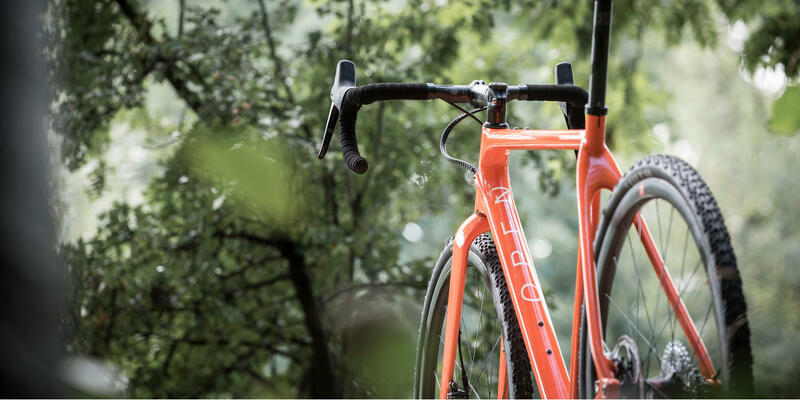 OPEN's signature dropped chainstay allows for a stronger, stiffer design with excellent crank and tyre clearance.